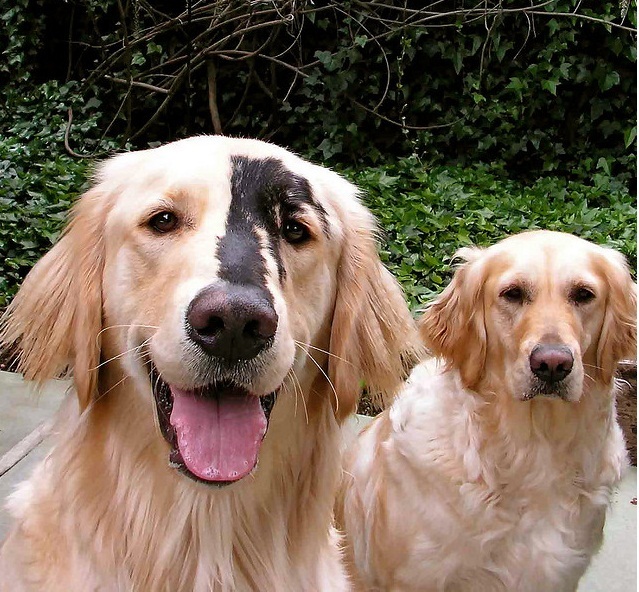 This dog has the black spot phenomenon on his face. 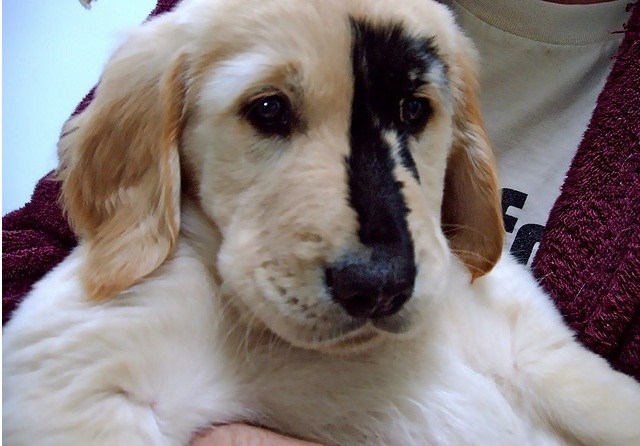 The black spot phenomenon happens in golden and yellow Labrador retrievers when dog experiences a somatic mutation that turns the e/e to E/e. e/e is the genotype that produces the yellow to red coat color in golden retrievers and yellow Labs. If they had the E/e or E/e genotype, they would either be black dogs or liver/chocolate dogs. It’s not a really a birthmark. It’s just a somatic mutation. Here is the same dog as an adult. He is standing beside his mother, who doesn’t have that somatic mutation. Because this is a mutation in the somatic cells, it is not passed on from generation to generation. Breeding a dog with these spots to another dog will not produce spotted puppies.